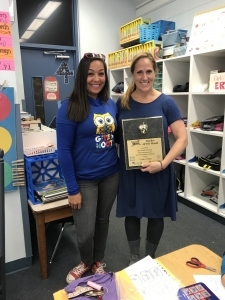 Congratulation to our April Teacher of the Month Winner, Ms Wendy Thomas from Shalimar Elementary. Ms Thomas teaches kindergarten at Shalimar. She is always friendly and funny. She keeps her students engaged and hungry for learning. Z96 has been honoring these local heroes since 1999.